The future of visual transparency challenges our perceptions of the world. Come explore new outlooks on robots, satellites, street sensors and immersive gadgets piloting the media. Learn about the prospects of image verification and invisible forms of surveillance. What are the possibilities? How can we cope? Presentations and interactive panel discussion. Free entrance, limited number of seats. Contact cG9zdCB8IHZpc21lZGlhICEgbm8= If you have any questions regarding the event. Please let us know if you have any dietary allergies. 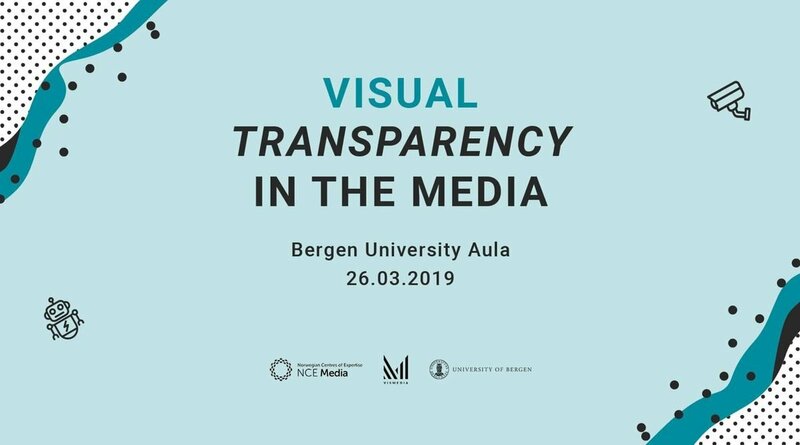 The conference is a free, collaborative event co-hosted by ViSmedia and NCE Media; everyone interested in visual technologies, surveillance and the news are welcome to attend — in particular, journalists, researchers, tech developers, students, and media teachers.